I think this was an thorough outline of the meeting. I do agree that is not exactly the best use of the funds. There is a lot in the Arlandria plan that could benefit the area. I don't see the immediate need for these changes. 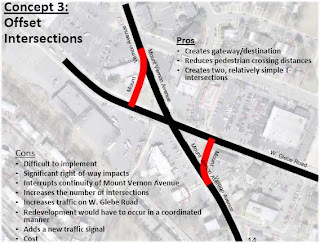 "One suggestion was to make the right turn lane on eastbound W. Glebe a straight and right-turn lane and to make the other lane a signaled left-turn lane. 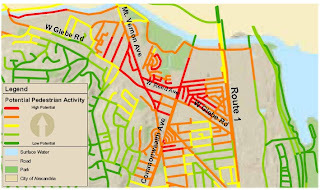 Staff explained that approximately the same portion of traffic goes right as goes both straight and left combined." 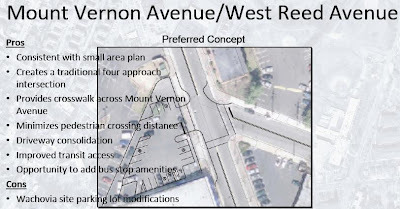 It sounds like the point was missed here: Traffic volume is irrelevant since with the current configuration, it takes only one car waiting to turn left to block all the traffic hoping to proceed straight across Mt. Vernon. This creates a dynamic were cars dart into the right lane to cross Mt. 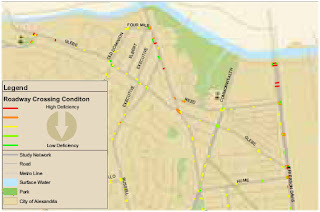 Vernon – especially dangerous given the other problems at this intersection. 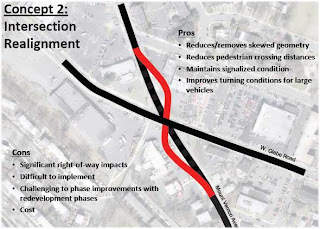 By switching to a configuration where right-turn traffic and straight traffic share the same lane, cars in the shared lane will be able to flow freely while left-turners wait for an opening to make their turn. 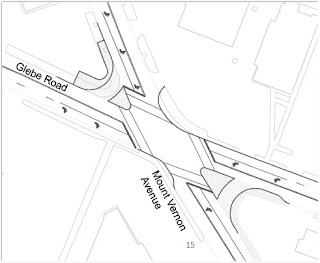 This is an easy fix and doesn't require a left-turn arrow – just new signage. 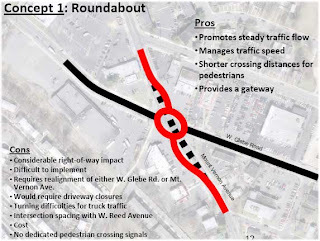 I don't see why the roundabout would need to have lanes realigned. The sharp turns are rarely taken if you look at the larger context of road connections in the area. That would make that solution much easier to achieve. I don't think this traffic calming would be a good use of 40-60% of the allocated funds. I admit I'm biased, but did anyone else note that using these funds benefits the drivers turning right onto Mt. Vernon from eastbound W. Glebe? 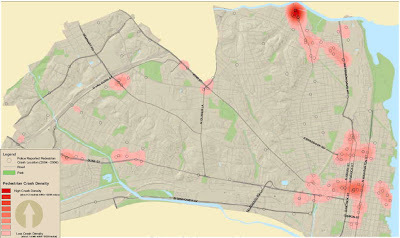 That means this solution serves not Arlandria (which I'd like to brand "North End") but rather serves the wealthier Del Ray and Warwick Village neighborhoods. At a time when the people of Hume Springs can't even get bus shelters on Mt. Vernon north of Glebe, I can't see why we're spending more money to serve our southern neighbors. This neighborhood could use so much more than a bus crossing for the modest bus route that takes us north or south to public transportation... especially since public metro transit will still be based outside walking distance to serve the residents of Potomac Greens instead of Lynhaven and Hume Springs and Arlandria. I apologize that I was not able to make the meeting, and I appreciate the considerable thought... I'd just like to see a more beneficial use to the funds allocated.